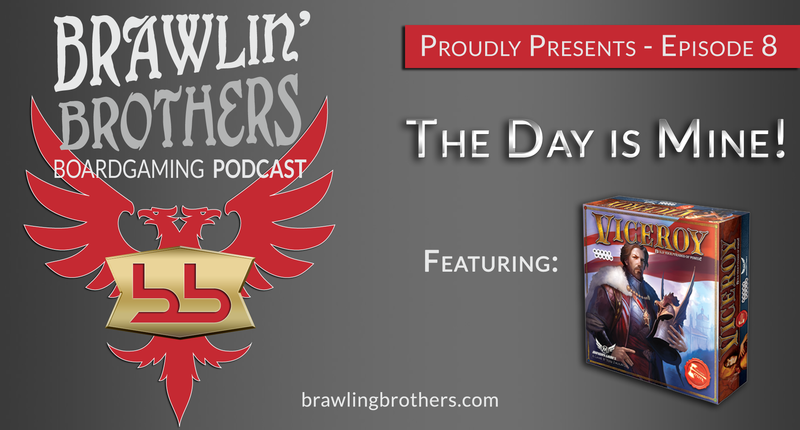 Brawling Brothers Boardgaming Podcast – Episode 8 : The Day is Mine! Attempts to introduce the episode in Italian is not working so well for Josh – IT’s My Party and I’ll Cry if I want to (Happy B-Day Brandon) – Boiling Pit of Seafood hotness – Brandon eats like a cannibal – Large man in a little suit – We need the jigsaw! 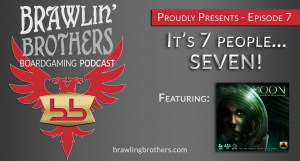 – Super excited to play 7-player Caverna with the celebrity that is Brawling Brothers – Dancing on the table – Ice Cream churro sandwich – Engineers can’t do math – Kemet and Brian are winners! 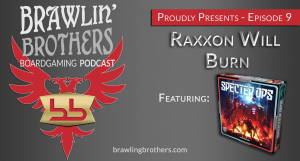 – Brawling Brothers Henchman – Brandon lost his hand but can still use his good hand – Call in to 575-616-BROS and play us your favorite guitar solo – our first 17min voicemail – the Viceroy of War Room studious records an intro – really high scores go out – a ‘ding’ is a good thing – drone sounds – oh how we love all types of gaming personalities – Call us @575-616-BROS !!!! !